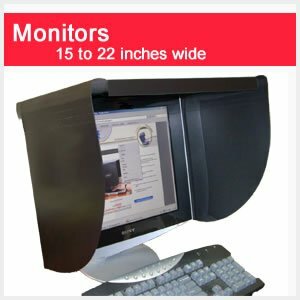 Fits virtually all 15-22 inch wide monitors. 11 inches deep to provide very effective glare control. Universal, rugged one-piece hood that conforms its shape to fit virtually any 15-22 inch wide monitor. 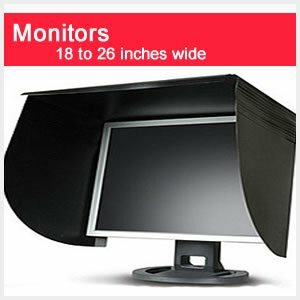 Fits virtually all 18-26 inch wide monitors. Universal, rugged one-piece hood that conforms its shape to fit virtually any 18-26 inch wide monitor.